It's becoming a tradition with me - wearing Lilly again for Easter on Sunday...love, love, love this dress and I can't wait to wear it. Looking forward to beautiful weather and time with family in Birmingham. 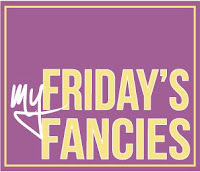 Linking up to AV's Long Distance Loving Friday Fancies - this week's theme is flower power. Now I am not a Lilly person, and I love that dress! Have a great Easter! Love the shoes in that outfit picture! happy Easter! I love that dress! Hope you have a great week!